Discipleship isn’t entirely informational—it’s communal. An intimate gathering of Christians who are committed to each other is the key to maturity. It’s not just the study of the Word, prayer, and worship that changes them, but it’s also the simple act of being involved in each other’s lives offering encouragement and support. When push comes to shove, the health of a small group is going to rest on the strengths of the leader. I’m not talking about the need for an authoritarian-style leadership, but someone who takes responsibility for the group, a shepherd of sorts. First and foremost, all areas of church leadership need to prioritize spiritual fitness. After all, when there was a hassle in the early church about widows being overlooked in food distribution (Acts 6), the disciples asked that seven people “known to be full of the Spirit and wisdom” would be chosen to take care of the issue. These were people that simply had to make sure that food was being handed out fairly! Anyone can do that, right?! It didn’t matter to the disciples. Even that kind of task required spiritually sensitive leadership. 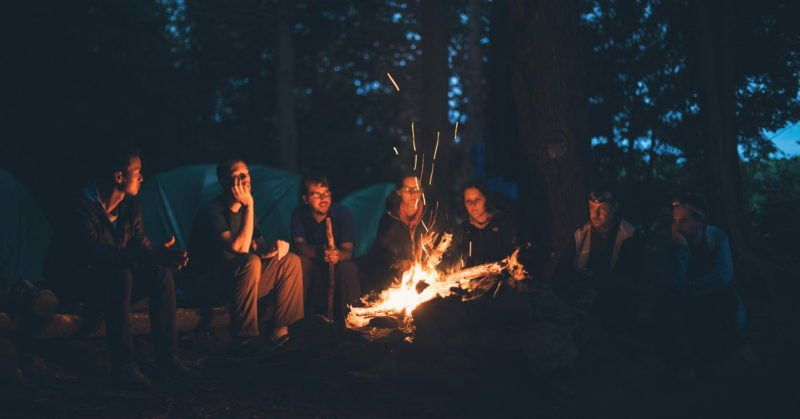 How much more important is it that a person responsible for the spiritual well-being of a small group of individuals should be spiritually prepared for the task? You obviously want small group leaders that can take care of the details, but you’re really going to need a leader who can keep their eye on the bigger picture. A lot of people jump into small-group leadership idealistically and want to pour themselves into others’ lives. But it takes less than a year for many of them to start wanting to quit. These groups always have their issues. Sometimes there are people who don’t understand boundaries, have aggressive personalities, demand a lot of attention, or are incredibly flaky. It’s in the middle of this milieu that you’re going to need people who can keep a larger perspective. Spiritual care is messy business, but transformation is a reality. Some of these problem people just need to experience love that sticks by them when others in their lives would have checked out. Keeping one’s eye on that larger reality can make a big difference in a small group. None of these gifts are better than any other, but a small group is going to take on the flavor of their leader’s gift. A small group run by someone who’s a gifted evangelist can be a powerful group, but it’s going to have a distinctly different flavor than one run by a teacher. If at all possible, find people to lead small groups who have a more pastoral bent. They’re the caretakers that are going to have their pulse on the lives of the individuals in their care. If you have a strong teacher in the group who can lead discussions, that’s great, but try to put a pastor in charge—or at least someone with a shepherd-like attention to the needs of the group. If small groups are important in the life of the church, then you want to have as many churchgoers in a group as possible. 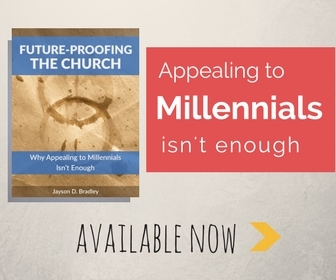 For many churches, however, getting small group attendance over 50 percent is a real struggle. One of the surest ways to increase interest and involvement is to create dynamic small groups that people want to be a part of. The more people talk up their positive experiences in their own groups, the easier it is to get people to make the leap. For growth to work, a healthy church’s small groups need to be multiplying, and it’s imperative that they’re not growing faster than leadership development is. This means that small group leaders have to be equipped to find and groom more leaders. It can be hard on small-group leaders to feel like they’re constantly promoting their best members out of their group. But that’s just another reason to ensure that they can keep a long-term, big-picture, pastoral perspective. In one church I attended, I was responsible for overseeing and maintaining the entire small group ministry. It feels like I’ve sat in hundreds of these groups. It eventually got to the point where I could tell pretty quickly how successful a leader was going to be within minutes. The immediate and most obvious factor that separated so-so leaders from excellent ones? Preparation. That’s it. You didn’t have to look too hard to tell if they’d put 30 minutes into the planning the evening or if they’d really put a lot of work into it. When a leader sees small group as something they throw together, it’s a clear sign that they don’t really understand the significance of the gathering. To make matters worse, they’re placing the burden on the group to carry the evening. Of course there are times where life makes it hard to put in the time one would like. But that should be the exception and not the rule. A good small-group leader is putting in effort worthy of the endeavor. A great leader is involved in the lives of their people beyond the meeting time. They’re actually going to be involved in their lives. This means that they’re likely going to be privy to some sensitive information. It’s beyond important that they never betray a trust (unless the information represents a clear danger). Trust is ministry’s currency. You can’t squander it. This goes for maintaining the group’s dynamic as well. The group’s strength rests on the confidence each individual has in the confidentiality of the gathering. Establishing and protecting the trust in the group is a must. When you think about it, the New Testament isn’t compiled for individuals. It’s compiled for the God’s people. When it addresses us, it addresses us as an assembly. We need to recognize that we’re not intended to serve God in isolation. We need community to thrive. The small group fills the community role that the typical church is too big to accommodate. With the right leaders, small groups flourish, people mature, and the kingdom grows!